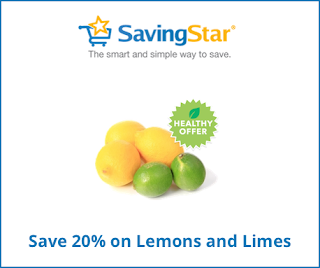 A Day Late and A Dollar Short: SavingStar New Produce Offer - 20% Off Lemons and Limes! SavingStar New Produce Offer - 20% Off Lemons and Limes! Not familiar with SavingStar? Please visit our SavingStar page to learn more about this money-saving grocery store program and to sign up today.